Flavoured milk drinks and chocolate milk drinks are sweetened dairy drinks, typically made with semi-skimmed milk, sugar, stabiliser, colour, flavouring and / or cocoa powder. Fresh flavoured milk drinks are often processed using technology to provide extended shelf life (ESL), under chilled storage or UHT processed / retorted for ambient storage. Four main trends are fuelling growth in the flavoured milk category. The consumers’ desire for nutritious and healthy food, driving nutrient-rich milk products; increased on-the-go consumption; curiosity about new drinks; and desire for indulgence. 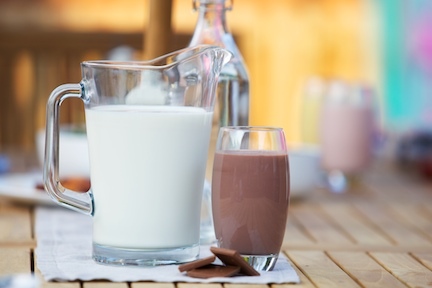 A number of approaches can be used to reduce the cost of your flavoured milk recipe and your production processes. Our team at KaTech can advise you on how to create a great product for less. Typically, expensive milk solids and/or milk fat can be replaced by combinations of starches, emulsifiers and thickeners. This can be achieved while still maintaining the mouthfeel and creaminess which consumers enjoy. Contact us today for advice on reducing your costs.